Today we are extremely excited to introduce Bison Trails, the world’s first infrastructure as a service company designed for next-generation blockchain networks. Bison Trails is the easiest way for anyone to launch secure, highly-available, and geographically distributed nodes on a participatory blockchain network with only a few clicks. Bison Trails provides a full stack offering for next-generation infrastructure and its constituents, including staking, validating, voting, transacting, and securing blockchain protocols. As the blockchain ecosystem matures, it will enable a new global workforce, where participants can take part in value creation regardless of their background. But participating in this new decentralized economy today is often difficult, technical, and blockchain specific. Bison Trails wants to enable a future where blockchain participation is easy, more transparent, and truly decentralized. The infrastructure that we’re building today will pave the way for an entire generation of new decentralized companies, services, and participants to access blockchain economies and networks. 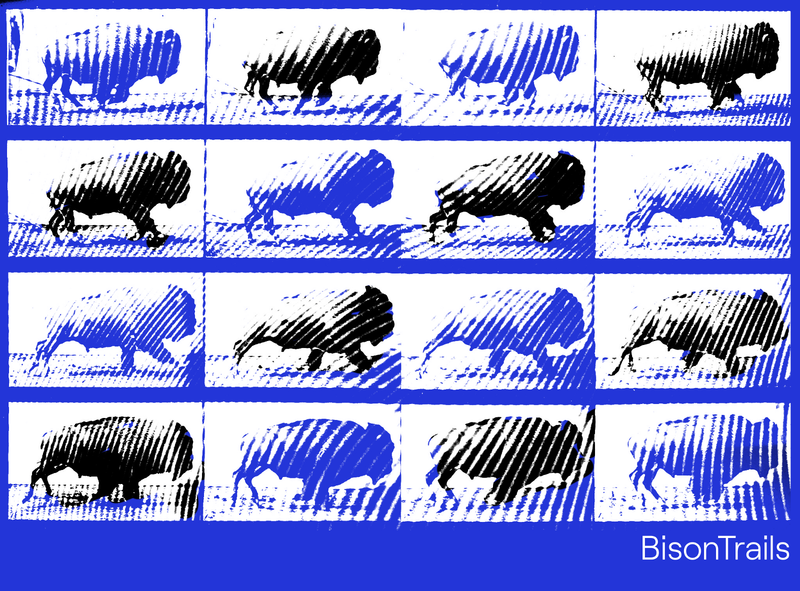 Bison Trails has raised $5.25 Million in a series seed round to underscore our mission. The financing was led by Initialized Capital and Accomplice with participation from Notation Capital, Homebrew, Galaxy Digital, Distributed Global, Charge Ventures and a prominent group of angel investors. We couldn’t be happier with this group of supportive, well-seasoned company builders and are thrilled to be working with investors that share the same long-term vision as us while we build a category-defining company in this nascent space. Aaron and I met over fifteen years ago and our founder journey began shortly after when we started building our first software company together. Since those early days, we’ve built and shipped countless software products to help other entrepreneurs and businesses to realize their dreams, held leadership roles at top tech firms, and built some of the best technical teams in the startup space. Over the past two years, our days (turned to nights) were filled with building and deploying infrastructure to support participation in some of the most promising new blockchain networks. Over time, many large digital asset holders and blockchain entrepreneurs asked us for help setting up their own enterprise-grade infrastructure to support their own participation. As we started understanding the problem and their needs, we began designing a platform to help solve this problem. As builders and long-term believers in blockchain technology, we know that transparent, secure, and decentralized infrastructure will have long-lasting benefits for the entire ecosystem. We’re launching our platform to a select group of alpha partners in the coming weeks. If you would like to learn more about Bison Trails, simply say hi. Bison Trails is the easiest way to run infrastructure on multiple blockchains. Bison Trails is pioneering blockchain infrastructure.